Congresswoman-elect Alexandria Ocasio-Cortez has become a rising star in the progressive movement. People have watched what she says with a magnifying class. She's said some rather wacky things over the last few months, but this one takes the cake. When the news broke that the Central American caravan rushed the United States border and Border Patrol agents fought back with tear gas, Ocasio-Cortez took to Twitter...to compare those caravan riders the Jews fleeing from Nazi Germany. This is nothing comparable to what occurred in Nazi Germany. Absolutely nothing. It's a crazy assertion to think that the violence in Central America is like Adolf Hitler wanting to wipe out an entire ethnic population. The violence that's occurring in places like Honduras isn't the result of one person wanting to get rid of a group of people because of their religious beliefs. It's a result of gangs taking over the area. It's a result of people deciding that a life of crime is a way out of a life of poverty. 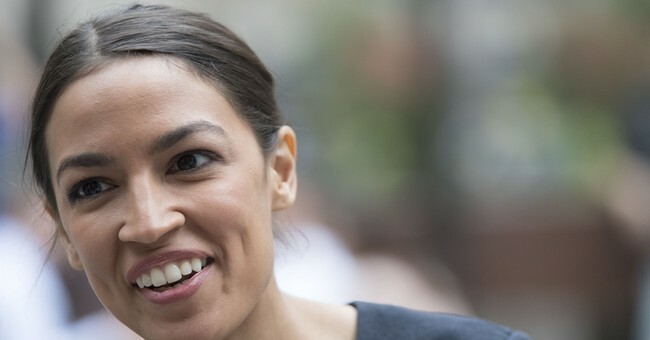 Ocasio-Cortez should be ashamed of herself for comparing the Jews to these illegal aliens who knowingly storm our southern border. The caravan riders put the lives of Border Patrol agents at risk. The Jews, on the other hand, came to America with dignity and respect after living through hell on earth. Don't belittle Jewish people to try to push your political agenda, Alexandria. It's disgusting.